Atrial fibrillation is the most common type of irregular heartbeat. Atrial fibrillation causes the heart to work inefficiently so it can reduce the person’s ability to exercise and may lead to heart failure. Atrial fibrillation makes the blood flow inside the heart somewhat irregular, which can cause blood clots to form there. Consequently, atrial fibrillation carries a risk of stroke. Approximately 330,000 people in Australia suffer from atrial fibrillation. The incidence and prevalence of atrial fibrillation is rising, largely due to the epidemic of ‘diabesity’. It is likely that the size of the problem has been underestimated because one type of atrial fibrillation, paroxysmal atrial fibrillation, is difficult to identify. If you would like more information about atrial fibrillation, you can find out more from our special report, Change of Heart: time to end cardiovascular complacency. Am I at risk of atrial fibrillation? For more risk factors, visit the American Heart Association. If you are worried about Atrial Fibrillation or you would like more information, visit the Healthy Hearts Clinic or call 03 8532 1999. 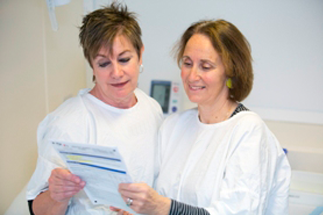 The Baker Institute offers a free screening service in Melbourne through the Healthy Hearts Clinic for people at high-risk of developing AF. The clinic is a multidisciplinary service aimed at preventing heart disease, including arrhythmia (AF is one kind or arrhythmia), through exercise and weight loss. The clinic involves leading clinicians from within the Institute and affiliated hospitals covering areas such as electrophysiology and pacing, cardiac imaging, sports cardiology, obesity research, heart failure, and preclinical disease and prevention. The clinic incorporates novel technology such as hand-held ECG to improve the detection of AF. Helping you identify and address your risk of developing cardiovascular disease. 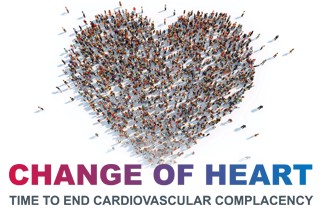 A report that calls for cardiovascular health to be prioritised among community, health professionals and governments.